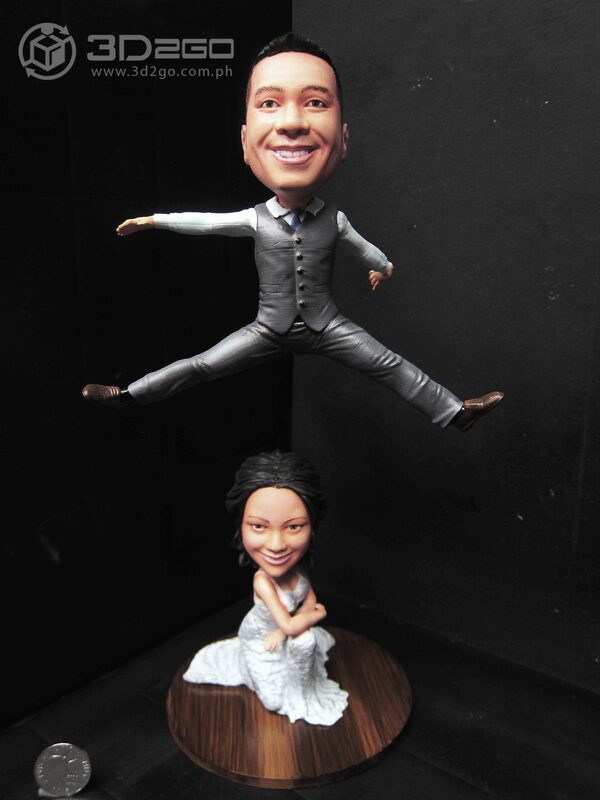 Our custom bobbleheads stand out from all the toys we print because of their evident preciseness and unmistakable uniqueness. For these reasons, we get numerous orders from individuals and organizations alike. Yourself - How cool would it be to have a digitally printed version of yourself lying around the house or office for guests to see? We can make one of you wearing your favorite outfit, another one holding a basketball, and yet another one playing a guitar. Your Pet - Cats, dogs, or any other pets can only live for a certain number of years. You can, however, immortalize them with a bobblehead! Your Hero - It could be your music or sports hero. Keep in mind that action figures of pop icons can get really expensive and hard to find. With our service, you can have as many versions as you want without spending as much when ordering from the internet. Your Special Someone - Sketching on canvas and writing a song for a special someone are timelessly romantic. However, you can surprise the one you love by going the less worn-out route of giving a bobblehead. Your Family - Add a bobblehead of each member of the family to your collection. These one-of-a-kind items make for a great home décor you will treasure for years to come.